Happy Monday BaddaBing BaddaBlog readers! This is Manga (And Also Anime) Monday, the place where we talk about every and anything about anime and manga. Today’s article is going to focus on an anime that dominated the anime industry once upon a time only to be dethroned by Attack on Titan (which will soon be dethroned by One Punch Man, probably, hopefully), I’m speaking of course, about Sword Art Online. Sword Art Online, usually shortened to SAO, was originally a light novel series written by Reki Kawahara. It was announced in 2011 that the series would be getting an anime, and once the SAO anime released in 2012, the series popularity exploded. 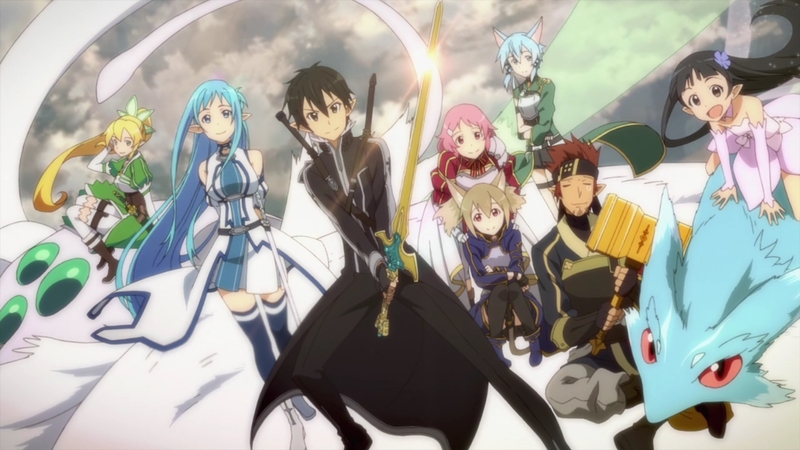 Sword Art Online is easily one of the most popular anime in recent memory. I would find it surprising if someone who has been an anime fan for more than two years has not at least seen at least a portion of this program. Right now you’re probably asking “well how did this series get so popular?”. Well, if you’d calm down for a second I’ll tell you. The short answer is that, SAO got so popular because of quality animation and playing to lowest common denominators. The long answer is, also that, but slightly more complicated. SAO follows the story of Kirito, a loner nerd, who becomes trapped inside of a virtual reality video game, Sword Art Online (*wink*), and the only chance he and the rest of the players trapped in the game have of escaping is if they beat all one hundred of the game’s bosses. This is a fairly interesting set up, even though it most definitely been done before, and arguably done better by other stories. 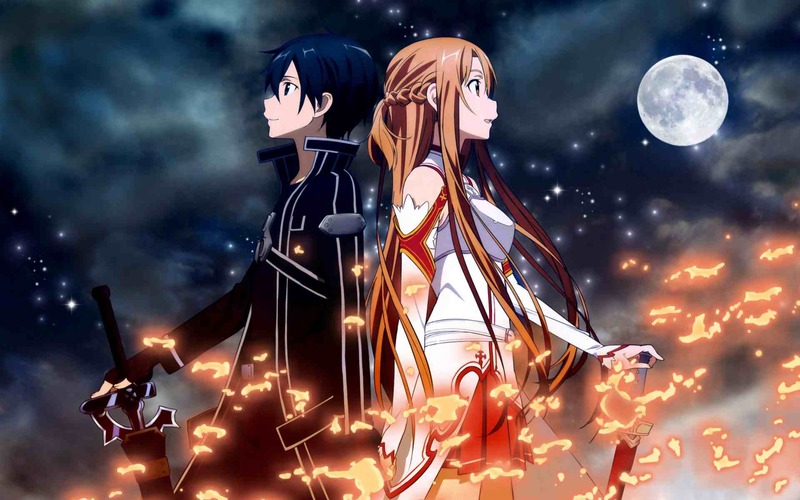 Sword Art Online’s popularity stems from its collection of characters and their interactions. You see, the narrative I just described more or less ends after the first twelve episodes and what kept viewers coming back for the remaining twelve in the first season and the entirety of the second season, was a love for the characters. The characters were easy to support and love because they are more or less the embodiment of tropes of the anime genre. The previously mentioned protagonist, Kirito, is intentionally a somewhat bland character so that audiences can more easily project themselves onto him. Asuna, Kirito’s main love interest, is the epitome of anime waifu material. Klein, Kirito’s best friend, is an extremely hapless beta-male who just want’s to contribute to the group, but always winds up falling just a little big short of Kirito himself. These tropes go on for a while and none of the characters ever become too complex. Oh, I almost forgot, literally every female character has a crush on Kirito. This even applies to Kirito’s cousin, despite the fact that the two were raised as brother and sister for the majority of their lives. So yeah, very anime. This series would later be dethroned by Attack on Titan, but for about a year and a half SAO was the anime that everybody was watching. Convention halls were filled with SAO cosplay and anime forums were filled with SAO discussions and fan art. The thing is though, out of all of the Sword Art Online discussions I’ve heard and all the posts I’ve read, I have only found a handful of people who say that SAO is their favorite anime. Lot’s of people LIKE this program, but only a few LOVE it. Sword Art Online does not try to be groundbreaking or totally original, rather it combines the best aspects of the various genres of anime and the most famous anime series to make a new show. This, by in large, has worked incredibly well for the show and I can only imagine how much the people behind it have made from it. 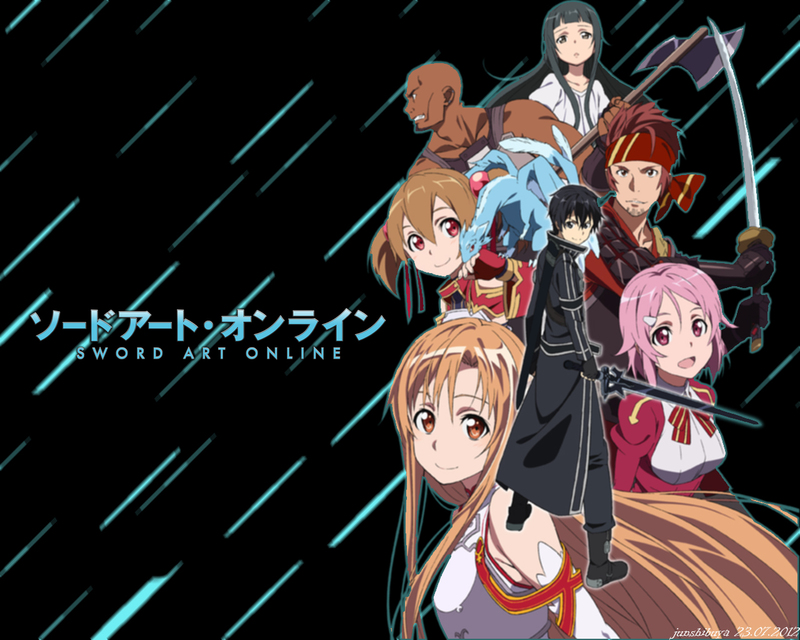 If you are new to anime, I would recommend watching Sword Art Online. Is it the best anime ever and entirely worthy of its fame, not really. However, it is more or less a microcosm of what is great about anime in general has a massive fan base that is more than ready to talk about it. I personally glad I decided to watch Sword Art Online a few years ago. At the very least, I understand a few thousand memes more now than what I did before I viewed it. Alright guys, that just about does it for this week’s installment of Manga (And Also Anime) Monday. If you enjoyed it please give it a like and leave a comment down below. You can also subscribe to this blog by clicking on the upper right tab and entering in you email. You can also stay up to date by liking the official BaddaBing BaddaBlog Facebook Page, or by following me, @LucasDeRuyter, on Twitter. I hope you all have a great week and be sure to come back here on Wednesday for the next installment of Pop Culture Wednesday.